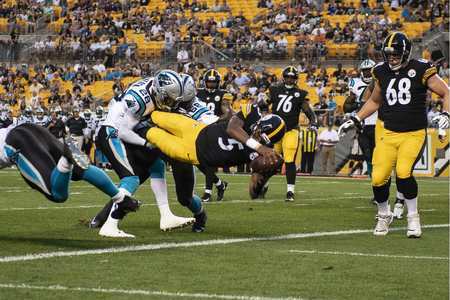 It was a fun evening for the Steelers, who prevailed over the Panthers, 39-24, in their fourth and final preseason game, Thursday night at Heinz Field. It was fun for the rookies and roster hopefuls, because the spotlight was on them. It was also fun for the veterans, because most didn’t have to play. Second-year man Joshua Dobbs was the talk of the town, following Thursday’s final tuneup. “Should they keep Dobbs and get rid of backup Landry Jones?” many wondered quite vocally. And, why? Because Dobbs, who started and played most of the first half, put the finishing touches on a fine preseason, this time, completing eight of 12 passes for 151 yards and a touchdown. Dobbs even added 18 yards and another touchdown on the ground. The Steelers 2018 draft class is complete. Suffice to say, things didn’t play out as outsiders expected. By consensus, the Steelers biggest need in the 2018 NFL Draft was at inside linebacker. Drafting Le’Veon Bell’s replacement would have been wise. And the conventional wisdom dictated by the manhandling suffered at the hands of Jacksonville that the Steelers hit defense early and often. So how did Kevin Colbert and Mike Tomlin conduct this draft? That surprised many in Steelers Nation, yours truly included. But it shouldn’t have. Mike Tomlin and Kevin Colbert don’t make personnel decision out of fear. And while need has influenced their picks in the past, it is pretty clear that the Steelers stuck to their draft board. 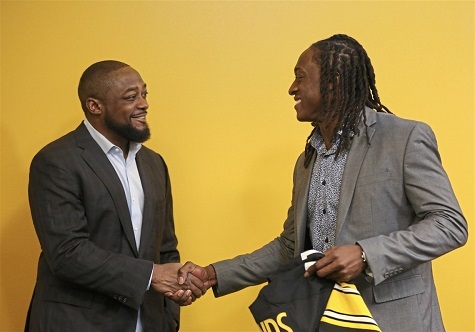 Kevin Colbert and Mike Tomlin got everyone talking by picking Terrell Edmunds. Mel Kipper Jr. had him rated as the draft’s 8th best safety. Some sites had him rated as the 20th best safety in the draft. Better safeties, in the eyes of many, remained on the board. As a draft ignoramus, I won’t hazard an argument. The experts, with a few exceptions, didn’t like it. There are only two or three decision makers in the Steelers draft room vs. an infinite number of pundits racing to offer instant evaluations. Listening to the cascade of criticism generated by Terrell Edmunds pick reminded me of reaction to the New York Jet’s decision to draft Jeff Lageman in the 1989 NFL Draft. The legendary Pete Axthelm went so far as to joke that the Exxon Valdez hadn’t been piloted by scouts for the Jets. Lageman ended up making the Pro Bowl as a rookie and had a solid career, if one that fell below his status of the 14th pick. In contrast, Mel Kipper Jr. praised the Steelers 1985 Draft Class, which turned out to be one of the worst in modern era and had to have contributed to Dan Rooney’s decision to fire Art Rooney Jr. as head of scouting. And as everyone in Steelers Nation knows, the legendary Vic Stiletto panned the Steelers 1974 Draft Class after day one for not having improved themselves at punter. The 1974 haul brought Lynn Swann, John Stallworth, Jack Lambert and Mike Webster to Pittsburgh, all four of whom current have busts honoring them in Canton. Will something similar happen to Terrell Edmunds? Will he become this generation’s Troy Polamalu? Will Mason Rudolph prove to be Ben Roethlisberger’s Aaron Rogers? Time will tell. In the short-term the perception of the success or failure of this draft is going to hinge on whether Terrell Edmunds matches Tomlin and Colbert’s expectations or those of the pundits. But Mason Rudolph offers an “X” factor. The Steelers apparently had a 1st round grade on him, and if he proves to be a worthy success to Big Ben then this draft will be a success even if Edmunds is as base as the Mel Kipper Jr.’s of the world assure us he is. Along with inside linebacker, it was said that safety was one of the primary needs for the Steelers, as the 2018 NFL Draft approached. And after making Virginia Tech safety Terrell Edmunds their first-round pick, Thursday night, the Steelers continued to address the position with the selection of Penn State safety Marcus Allen in the fifth round on Saturday. While his name may make many long-time fans wonder if he’s related to a certain Raiders/Chiefs Hall of Fame running back, as his NFL.com draft profile points out, Allen is actually the godson of fellow Hall of Fame running back–and Pittsburgh native–Curtis Martin. In four seasons at Happy Valley, Allen collected 320 tackles (only the sixth Nittany Lion to record over 300 tackles in his career), leading the team in that category with 110 in 2016. He also had three sacks but just one interception and 10 passes defensed. Speaking of 2016, as per his Wikipedia page, it was during that season that Allen cemented his name in Penn State football lore by blocking a field goal that was returned for a touchdown in an upset win over Ohio State. Allen was thrilled about being drafted by the Steelers, because, as reported by Pennlive.com on Saturday, despite growing up in Maryland, he considers Pittsburgh his hometown. “It’s all tears of joy right now….It’s a perfect situation. This is my home. It’s my hometown. My grandmother is from there, my whole family,” said Allen, whose dad is also a Pittsburgh native. It’s a heart-warming story, for sure, but getting back to the football side of things, there certainly seems to be a common theme for the two safeties the Steelers drafted. “I think he’s a great fit as a nickel or dime linebacker in sub,” said an anonymous AFC team regional scout. Despite their palpable need to upgrade at the inside linebacker spot heading into the weekend, the Steelers didn’t draft a single player from that position. 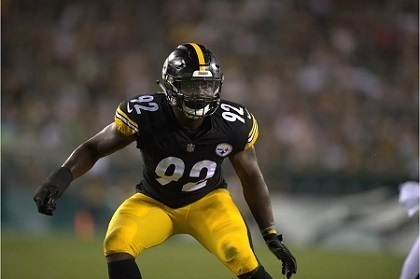 But with football becoming more and more specialized, the Steelers seem to have a different plan for inside linebacker (at least in sub packages), and their two newest safeties–including Penn State’s Marcus Allen–may get first crack at executing that plan.